The Woodstock Byrdcliffe Guild kicks off it’s Eighteenth Annual 5x7 Show on Friday, December 1, with a catered champagne reception and preview party at the Kleinert/​James Center for the Arts from 5:00 to 7:00 pm. 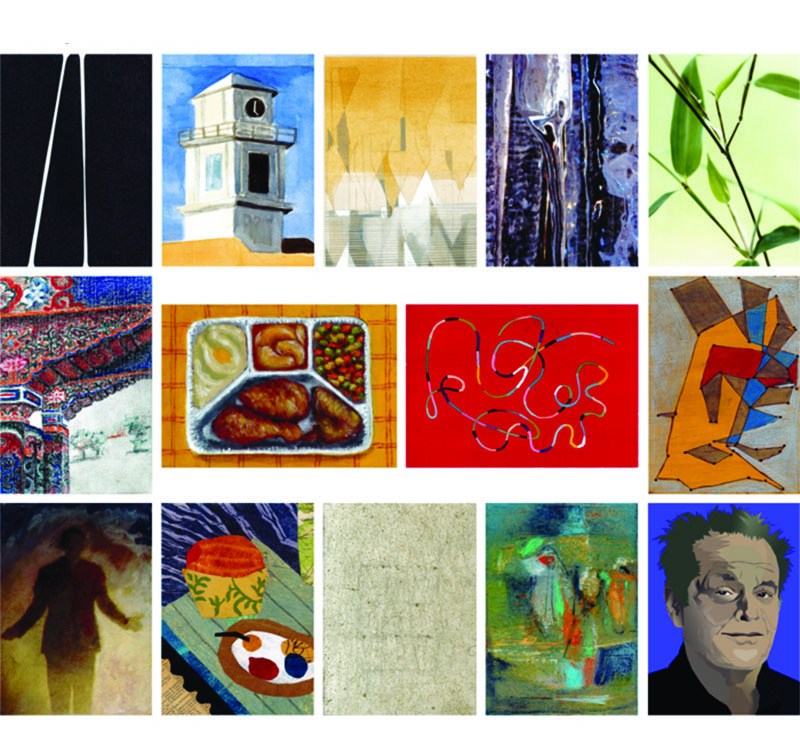 All works are restricted to 5 by 7 inches in size and were donated by an eclectic list of artists, from the world renowned to the locally treasured and beyond. A wide variety of styles and techniques are represented here and we’ve often wished we could have walked out of the show with a few dozen of these diminutive gems. 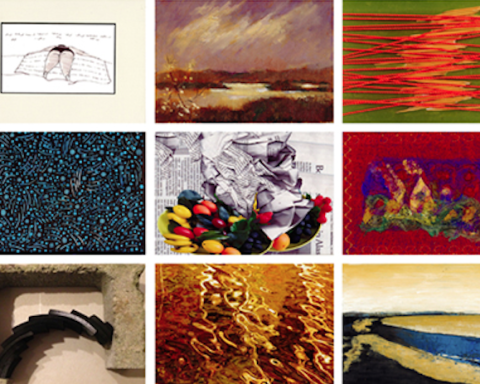 With a record number of pieces for sale —we counted over 300 artists— this should be one of the best 5x7 Shows ever. Each piece is displayed anonymously and the artist’s identity is revealed only after the purchase. All works are priced at $100. Food at the preview event is by Blue Mountain Bistro-​​To-​​Go.